Ph.D. in Math, but able to explain concepts to everyone! Hi! 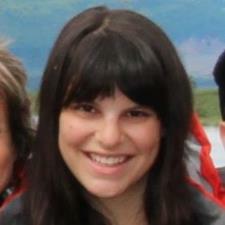 I'm Ilanit and I love to tutor math! If you are interested in my technical qualifications, I am a Barnard graduate, I have a PhD in Math and I got an 800 on the math section of my SAT. I currently teach at 3 different universities. At these universities, I have been nominated for awards for Excellence in Teaching as well as Commitment to Student Success. I have also created online recorded course material which has been used by over 10,000 university students. However, the truth is that these facts are not what make me a great teacher and a great tutor. I am a great teacher because I can explain things from the ground up in a way that will make sense. I am a great tutor because I will carefully watch how you approach problems and tailor my approach to fit the way that you are already understanding the material. Not everyone will understand the material in the exact same way, and I will make sure that our tutoring sessions are focused on the student, not the teacher. My approach to teaching math differs from student to student, but in general, I stress really understanding the material, rather than memorizing the steps needed to solve a given problem. Putting too much emphasis on making sure you can solve specific problems will often have great short term results (if, for example, a sample quiz with similar problems is given out.) However, students who rely on this method are often stumped when faced with different problems testing the same material. Furthermore, students are must more likely to forget the material quickly and (since math tends to build on itself) will have a harder time understanding future concepts. While you will walk away from our sessions with a better understanding of the material we are working on, you will also walk away a more confident math student. I believe that anyone can excel at math. However, a large classroom setting with a one-size-fits-all approach to the material is not ideal for everyone. I have had many students who have a history of struggling with math and have developed extreme math-phobia. Math-phobia, and the belief that one is “not a math person” is something which will follow you your whole life. Working with a private tutor who can meet you where you are can make a huge difference to establishing confidence in math, which will have lasting impacts in every math class you will ever take. I am firmly committed to the success of my students. If you are struggling with a problem or studying for an exam, don’t feel like you have to wait until our next session to ask me a question- I am available by phone or email until midnight to help walk you through whatever you need. Ilanit hasn’t set a schedule.